Habitat. 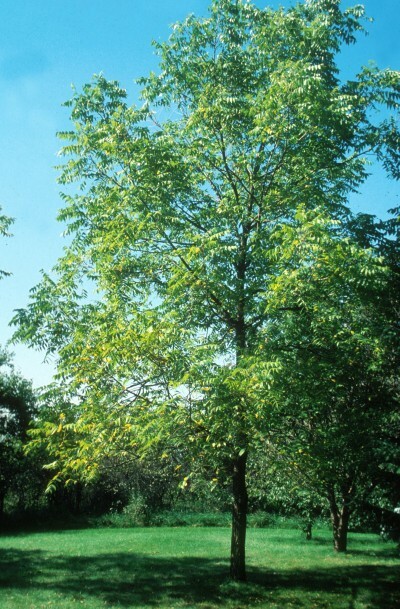 White Walnut is a medium tree grow 30 to 60' in height with a trunk of 2-3'. 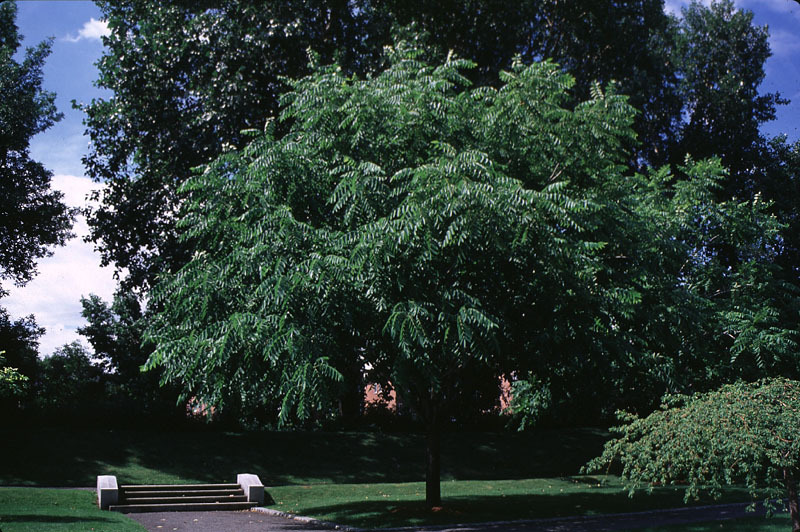 It is really most happy in the loose gravely soil of stream banks and other undisturbed areas but can grow in various soils such as, alkaline, clay, dry and wet soil. Leaves. Alternate, 15-30" long, leaflets 11-17, 2-4" long, finely serrated, aromatic, yellow in the fall. Butternut normally have an end leaf. Flowers. 3-5" long, greenish, drooping catkins. In May in Michigan. Fruit. Ripens in late fall, sweet, oily kernel, nut about 3" long and cylindrical in clusters of 3-5 and sticky. Buds. Terminal buds on a butternut are 1/2-3/4" long. Prominent hairy fringes above leaf scar. Bark. The butternut twigs are somewhat orangish-brown. The trunk can be smooth, with broad whitish ridges. Brown on old trunks. Wood. White walnut wood is light brown with lighter sapwood, satiny luster when polished. The wood is soft, weak, coarse grain and soft. Uses. Some people are just crazy about the taste of the butternut and for sure the squirrels go nutz over them. The wood is used in finish work in houses, furniture and cabinetry. Also instrument cases. Sap can be boiled in the spring for syrup. Distribution. Butternut Walnut is a native nut tree of the eastern USA. Butternut Walnuts can be grown in nearly all of the country from Florida to California and is hardy enough for most northern climates. Found further north than the black walnut. Other. The most surefire way to identify a white walnut from a black walnut is by the pith in the twigs. The black walnut is cream colored and the butternut has chocolate brown pith. Considered a slow grower they grow 12" or less per year. Walnuts develop a taproot which can make transplanting difficult. If growing Butternut Walnuts for transplant at a later time then you should check our root bags for ease of digging. Known mainly for it's edible nuts and fine wood. Butternut is an excellent choice for deer, turkey and squirrel feed. Nut production on a mature butternut walnut can be tremendous. Plant two trees for pollination. Butternut trees can be messy with the large compound leaves and nut drop. .
To buy butternut walnut seedlings and transplants use the table below. Order by PHONE: We're glad to take your order by phone @ 231-544-6769. Phone orders can be charged to VISA, Discover, or MasterCard accounts.